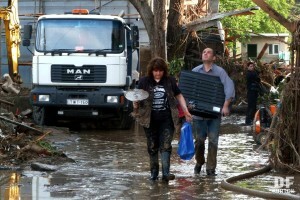 What caused the flood in Tbilisi? TBILISI, DFWatch – Residents in the disaster struck district of Tbilisi speak about different reasons causing damage during heavy flooding Saturday night. Heavy rain caused mud slide from ravines down towards residential houses and streets. Ortachala is an old district in the south of Tbilisi, between the river Mtkvari on the one side and high mountains on the other. There is an artificial lake in the hills above the houses. One theory is that the lake spilled over its beds, and a flood wave came thundering down towards the road, damaging buildings in its path. Now the lake is full of mud and trees. The head of the emergency service says that there is a drainage system in the hills, which collects water from those mountains, and directs it down to the River Mtkvari. Heavy rain uprooted trees and mud slid down the hill and blocked the collector. This changed the direction of the water and diverted it towards houses and roads. Emergency service employees and also residents say a flood wave suddenly came bursting down, flooding Gulua Square in Ortachala. The water masses overturned some cars and pushed other cars towards the Interior Ministry building, creating a whole hill of cars. It was impossible to walk or drive in the affected area. A powerful flood wave first hit barracks located near the mountains behind a cluster of residential houses. Ana Tskrialahsvili together with her six months daughter Nunu and four old Eto were visiting Maya Khuradov living in one of these barracks. They didn’t manage to get out in time and were soon found dead, neighbors say, adding that family was very poor. Ana Tskhrialashvili was from the village Shavshvebi near Gori. She was renting a house in Tbilisi. 84 year old Iylia Komurjishvili also died that night. Yesterday, information was reported that the River Mtkvari had swelled; however this information was not confirmed by the emergency service. 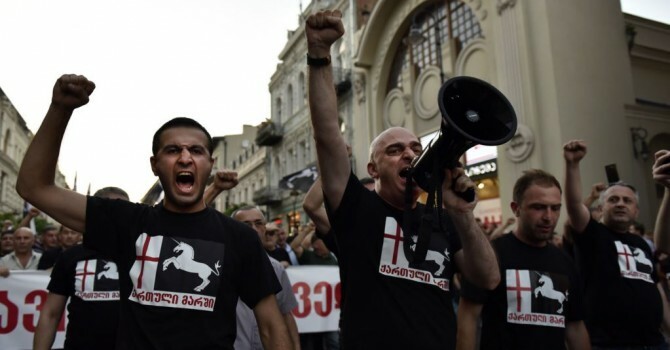 Temur Giorgadze, head of the service, says that except barracks the water mainly damaged basements of the houses, which were used for storage, not to live in. But the mud water reached the first floor of some of the flats. People were pouring out buckets full of mud from windows, while emergency service and cleaning service employees were trying to clean the place from water whole night and day. There is also information that the walls of prison in Ortachala is damaged; however no information about situation in prison. Eleven families were left houseless. Tbilisi City Hall suggested alternative shelter flats for them, providing first supplies, like food and clothes. Refugee Population buildings located on Plateau in Tbilisi occurred in water in the morning. Emergency service workers tried to reach the houses on boats. There is no serious damage there. Water reached first floor. 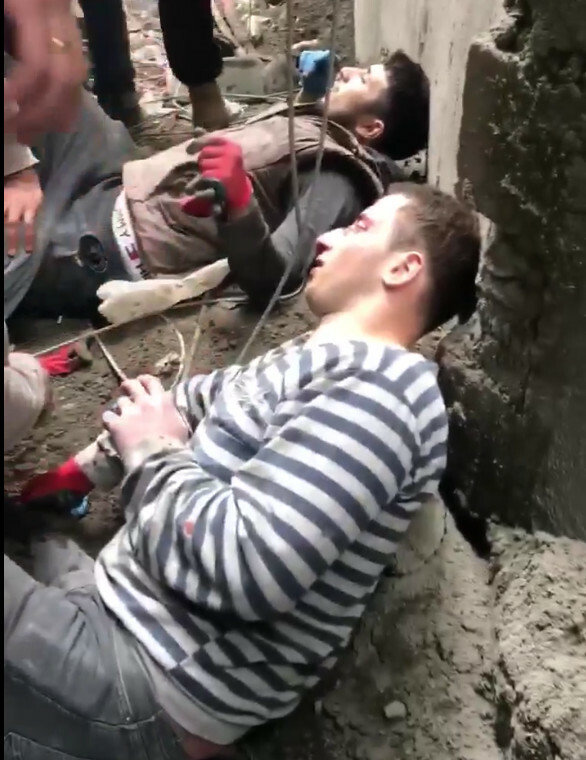 There is also report about destroyed retaining wall of living house on Zubalashvilebis Street, which is behind Rustaveli Ave. Living house collapsed on Sarajishvili Street near center of the capital. There was no victim there. Heavy rain caused damage in other regions of Eastern Georgia. 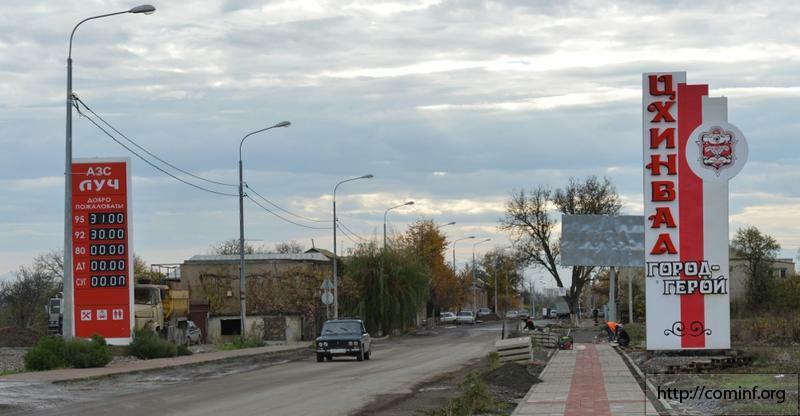 Kakheti online agencies reported that water damaged highway connected Tbilisi with Kakheti. Some villages are isolated. People report about damaged farms, dead poultries, spoiled vineyards, which is primary source of income for bigger part of Kakheti population. Hundreds of houses are flooded in the villages. As result of landslides about ten villages are isolated from the other world in Dusheti region, Northern Georgia. 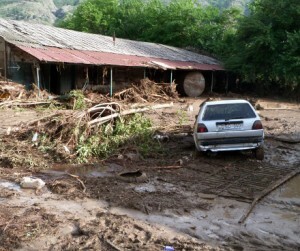 Losses are counted in Tbilisi, Kakheti, also in Mtskheta-Mtianeti region, where there are reports about flooded houses and damaged roads. It was heavily raining for three hours on Saturday. Forecasters remember the same thing happened back in September 2008, when there also died five persons. But sediment was twice more than this time. 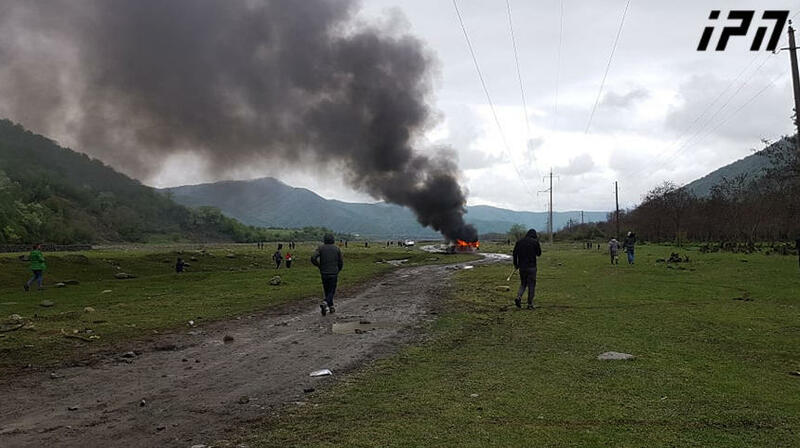 Speaking about situation in Ortachala, Georgia’s president today expressed assumption that the reason might have been damaged system and violated standards. 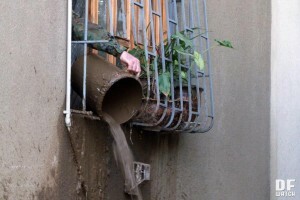 News Agency Pirweli quotes former Ministry of Environment Nino Chkhobadze, who says that water drainage system in Tbilisi is very old and haven’t been cleaned for about 20 years and during heavy sediment faulty drainage channels do not properly carry water, which causes flooding. There is 1600 km length system of storm water drainage system in Tbilisi consisting of brick, concrete, ceramics, cast iron and polyethylene water collectors. Storm water went through the water collectors directly in the River Mtkvari. 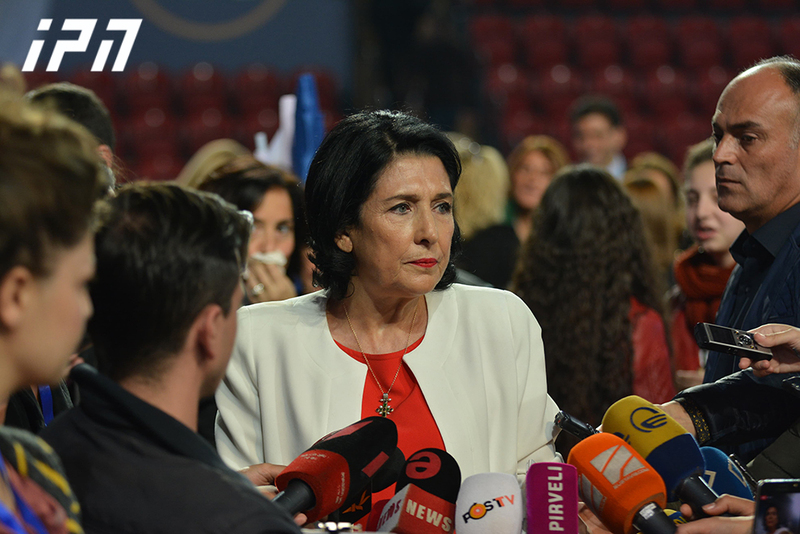 Gigi Ugulava, Mayor of Tbilisi said today that houses which are located close to collectors should be demolished and people shouldn’t be living in such places.